Trip to West Tatras during nice weekend in village Veličná. Time ago I read some blogs about ftp support for php projects in netbeans. I was thinking... Why ftp only? Where's support for SFTP and other protocols? It should be great to have an abstract API for remote file systems and lot of implementations for other protocols. So I started to look into netbeans sources. 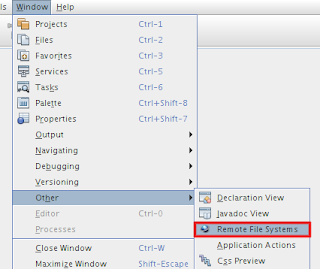 I found remotefs project in contrib repository. I was thinking: "it's great to see this. Netbeans for PHP must use this". So I started implementation of SFTP protocol. When I was in half of my work I looked into sources of netbeans php modules. And what I discover? It uses own implementation of FTP protocol. Hmmm, so what now??? Because my primary targer was php module, I didn't know why should I continue write this plug-in. So I decided to rewrite remotefs API and it's implementation to more abstract level because it looks like it's tightly coupled with FTP protocol implementation. If you are interested in sources are available via mercurial repository. PS: These modules uses same namespace (package) as mentioned project remotefs in main/contrib. So don't install this modules when you already have it installed.